Subscribe on iTunes for a chance to win a FREE one-hour personalized strategy session with Dr. Cie! Being a goddess is great!! This podcast is a great introduction to an amazing project that will enlighten and entertain anyone. The subjects are a fascinating blend of socially relevant advice, tips, stories, and knowledge spanning all facets of attracting what ( and who) you want in your life. I am really enjoying the different subjects covered, the interesting guests, and Dr. Cie’s wealth of experience and information! She has really brought together a unique and comprehensive guide to being and attracting your best! I must commend Dr. Cie for this amazing podcast! She has covered so many important aspects of bringing your “authentic self” if you will pardon the overused phrase, to life! This is so worth your time, no matter what your relationship status. Thank you Dr. Cie for putting together a very insightful, useful, and relevant talk. 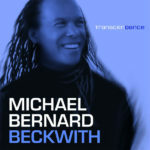 The music for The Goddess Code is provided by Transcendance by Michael Beckwith and Stephen Bray. Their album Transcendance is available now on iTunes.